BioBeat’s Movers and Shakers 2017: Who’s helping to improve patient care? BioBeat’s Movers and Shakers 2017: Who’s leading the collaborative drive in biobusiness?BioBeat’s Movers and Shakers 2017: Who’s leading infrastructure innovation in biobusiness? In its ongoing support of this cause, BioBeat has recently released its 50 Movers and Shakers in BioBusiness 2017 report, recognising the remarkable impact that women leaders and entrepreneurs are making in life science across five key translational themes. In three previous blogs, we explored the report’s Great Science, Financial Enablers, and Collaboration themes. Below we look at the Patient Impact theme, which shines a spotlight on those women who are leading outstanding progress in enhancing patient care. In a time when we are increasingly adopting a patient-centric approach to modern healthcare, it has never been more important to develop innovative ways to improve patients’ lives. Greater awareness among the public, keener competition, more healthcare regulation, and increasing demand for better care are all sharpening the focus on patient-orientated health outcomes. Much progress has already been made, thanks to some outstanding work by ten individuals recently featured in BioBeat’s 50 Movers and Shakers in BioBusiness 2017 report. The report’s Patient Impact theme highlights those women who are blazing the trail towards better patient care. One of these influential leaders is Dame Julie Moore, CEO of University Hospitals Birmingham (UHB) NHS Foundation and Interim CEO of the Heart of England NHS Foundation Trust. Dame Julie is leading the Trust’s establishment of one of the most sophisticated health informatics systems in the world – giving the UHB the capacity to deliver bespoke and innovative healthcare, and inform treatment strategies globally. Elin Haf Davies, Founder and CEO of aparito digital health, is another talented individual included in the report. Elin is fast-tracking patients’ access to drugs through novel digital solutions. She is overseeing the development of wearable technology and smartphone apps that use machine-learning and artificial intelligence to capture information about patients’ treatment adherence and outcomes. Applied in several UK hospitals, initially to support the care of patients with rare diseases and children, the platform is already helping to personalise treatments and reduce hospital visits. In a discussion about the “Top Trends” in this theme, Elin also highlights that these emerging technologies, such as wearable devices and smartphone apps, are becoming central to capturing patient generated data that drives improvements in the quality of care. “The value of patient generated data collected in real-time is becoming increasingly important throughout the drug development process and in routine clinical care,” she remarks. BioBeat’s report also presents four “Rising Stars” in the Patient Impact theme. One of these is Oriane Chausiaux, co-founder and CSO of Heartfelt Technologies, who is co-developing algorithms for a device that helps monitor heart failure patients and informs their treatment. The device uses machine-learning and artificial intelligence to measure and report patients’ ankle volume, which is a symptom of worsening heart failure. The data is transmitted to doctors, so treatment can be administered before hospitalization becomes necessary. Already trials with home patients are underway, with Oriane leading the regulatory and clinical trials programmes. Another of the “Rising Stars” presented in the report is Alexandra Grigore, Co-founder and Director of Innovation at Simprints, who is leading the design and development of the first fingerprint scanner for accessing health records in low-resource settings. 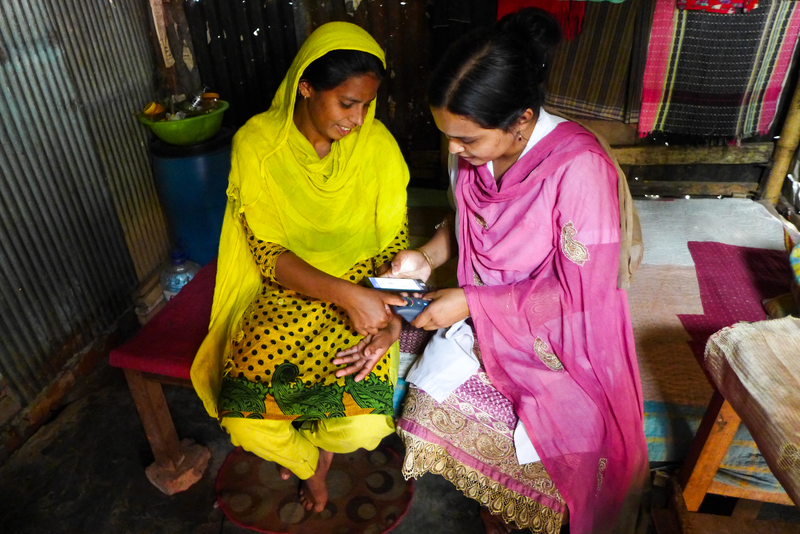 Bringing this technology to community health workers in the developing world is enabling the diagnosis, treatment, and monitoring of patients in even the most remote areas, serving about 1.1 billion people who have no birth certificates or official identification documents.